4.1 Pre-existing diseases/condition: All diseases/ injuries, which are pre-existing when the cover incepts for the first time. However, they will be covered on completion of 18 claim free months of insurance. Dialysis, Chemotherapy & Radiotherapy for diseases, including Critical Illnesses, existing prior to commencement of this policy are excluded even after two- claim free years. Pre-existing conditions of Diabetes mellitus and Hypertension are covered from inception of the policy but only on payment of additional premium. 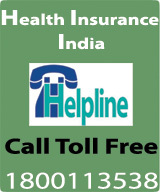 However, any ailment attributable to Diabetes mellitus or Hypertension, which has already manifested at the time of inception of insurance, will not be covered even on payment of additional premium for covering Diabetes mellitus and / or Hypertension. 4.2 30-day Exclusion: No claim will be payable in respect of any disease contracted by the Insured person during first 30 days from the commencement date of the policy. This exclusion will not apply if the policy is renewed without any break. The exclusion does not apply to treatment for accidental injuries. 4.3 Writing period for specified diseases/ ailments/ conditions: No claim will be payable in respect of the following Diseases/Conditions contracted during the ‘waiting periods’ specified below, starting from the first day of inception of the cover for the first time. 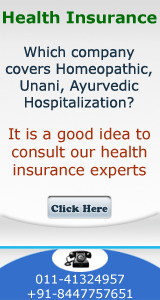 These diseases/conditions are covered on expiry of the duration shown against each, provided the policy is continuously renewed with the Company without any break. 4.4.1 War, Invasion, Act of foreign enemy, War like operations, Nuclear weapons, Ionising Radiation, contamination by Radioactive material nuclear fuel or nuclear waste. 4.4.2 Circumcision, cosmetic or aesthetic treatment, plastic surgery unless required to treat any injury or illness. 4.4.4 Cost of braces, equipment or external prosthetic devices, non-durable implants, eyeglasses, Cost of spectacles and contact lenses, hearing aids including cochlear implants and durable medical equipments. 4.4.5 All types of Dental treatments except arising out of an accident. 4.4.6 Convalescence, general debility. ‘Run-down’ condition or rest cure. Obesity treatment and its complications, congenital external disease/ defects or anomalies, treatment relating to all psychiatric and psychosomatic disorders, dementia, Alzheimer’s disease, infertility, sterility, use of intoxicating drugs/alcohol, use of tobacco leading to cancer.